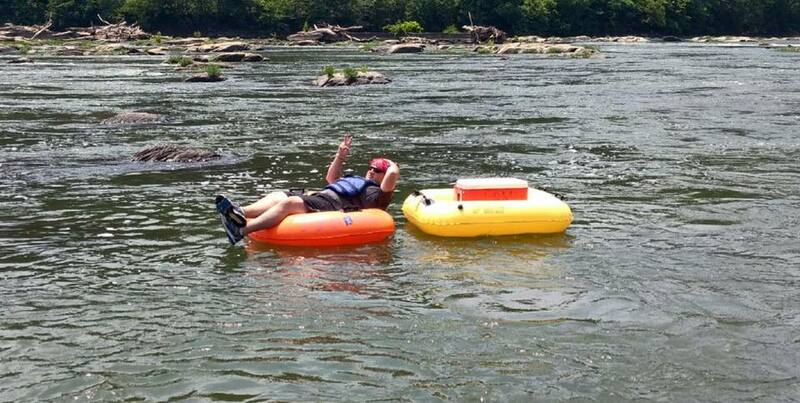 Your Harpers Ferry Potomac River tubing trip was Voted one of the top 5 tubing trips in America in USA Today's Top 10 Poll in 2016 and the closest to Washington, DC, Maryland, and Northern Virginia. Want some rapid excitement with the ability to "go it alone"? White water tubing may be the trip option for you! 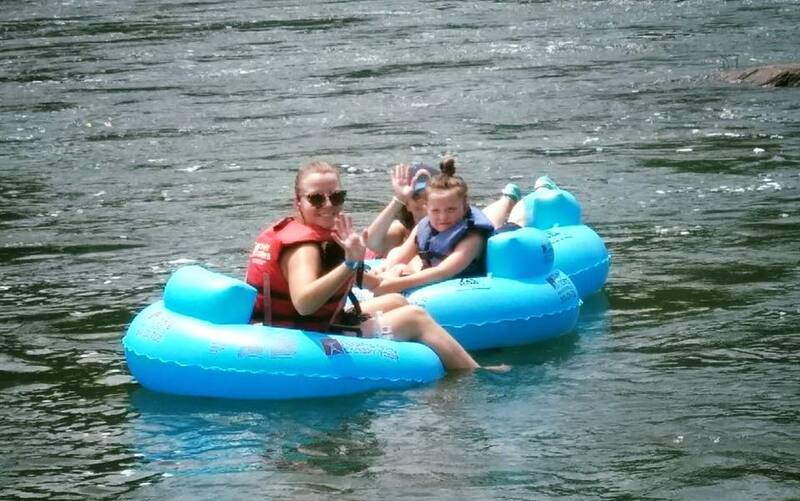 River Riders is THE Original Harpers Ferry tubing company, with over 3 decades of experience and is consistently ranked as the #1 Outdoor Activity in Harpers Ferry on Trip Advisor for the last 10 years. On a sizzling summer day, there’s nothing as refreshing as floating down the river in a tube. No other area outfitter can compare to the experience, quality, comfort, and value of tubing with River Riders! River Riders has our very own PUT IN for our white water tubing trips, making our trip the longest white water tubing trip in the area! The White Water trip passes by the historic town of Harpers Ferry, where Maryland, Virginia, and West Virginia come together. 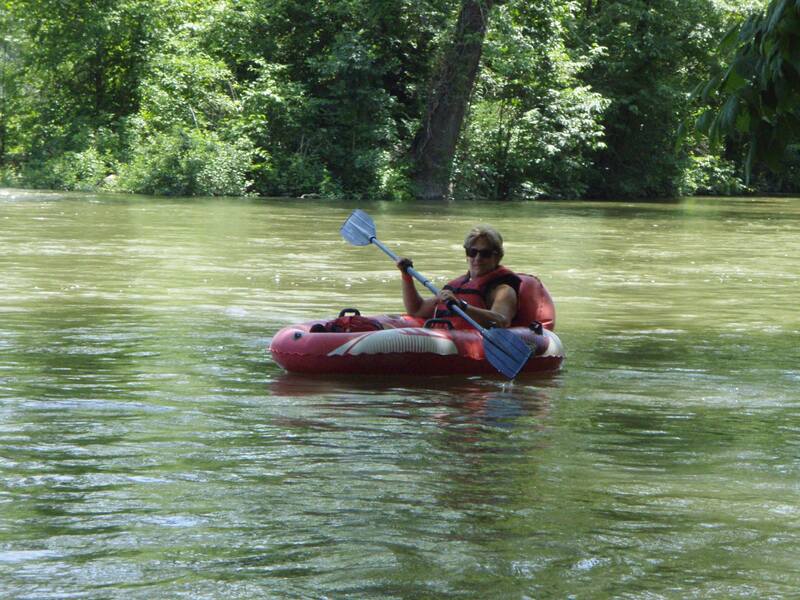 Enjoy the beauty of the Harpers Ferry water gap and rock formations of Maryland and Loudon Heights from a tube! The exciting class I-III white water section on the Potomac River (depending on water levels) lasts 1-3 hours (about 2 hours on average). Please keep in mind, white water tubing is a nature activity, this is not a water park. Water levels and water environment can fluctuate. Your trip will involve paddling in and around obstacles, through shallow areas, flat water and white water rapids. This trip can be a challenging activity, therefore it is recommended for those who are at least 10-12 years old and also 5 feet tall and those who are in good physical condition looking for an adventurous experience. All tubing guests should be in reasonably good health and physically active. Those exceeding their ideal weight range by more than 35 lbs. may find this trip unsuitable. Be aware that this trip is "on your own", therefore there will be no staff members present while you're on the river. Guides are available for groups of 10 or more. Guided: No, this trip is self guided. We are unable to send single tubing guests on the river. There must be at least 2 people per reservation. Memorial Day Weekend, Independence Day Weekend, and Labor Day Weekend are considered Holidays and will be charged the Saturday/Holiday rate for the 2017 season: Saturday May 28th, Sunday May 29th, Monday May 30th, Saturday July 2nd, Sunday July 3rd, Monday July 4th, Saturday Sept 2nd, Sunday Sept 3rd, and Monday Sept 4th. 10-19 guests - Additional $3 off per person. 20-39 guests - Additional $4 off per person. *In order to receive a groupon discount, you must reserve in advance and pay for the total balance in one single transaction. Groups paying separately or upon arrival are not eligible for group discounts. $29 $24 for our white water trip in our comfortable, durable PVC (vinyl) tube. $34 $29 for our white water trip in our more Deluxe vinyl tube with back-rest and cup holder. $39 $34 for our white water trip in our NEW Tube Tracker inner tube/duckie hybrid that comes with a paddle to help maneuver your way down the river. $34 $29 for our white water trip in our comfortable, durable PVC (vinyl) tube. $44 $39 for our white water trip in our NEW Tube Tracker inner tube/duckie hybrid that comes with a paddle to help maneuver your way down the river. Please add a $2.25 user fee and 6% WV sales tax per person. Combine tubing with any other half day adventure and receive $15-$20 off per person!